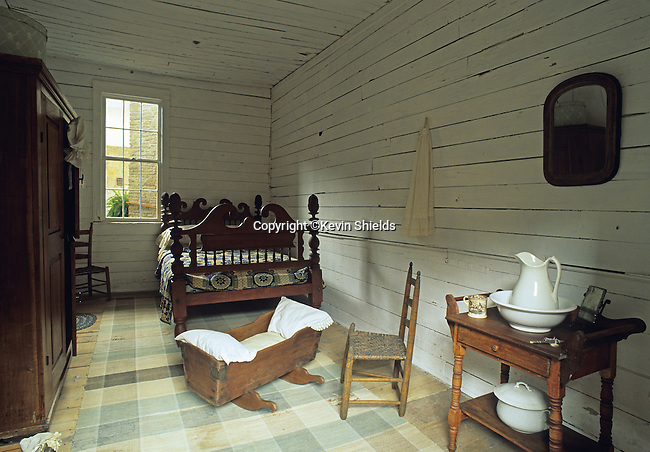 The interior of the cabin in which Mark Twain (Samuel Langhorne Clemens) was born on November 30, 1835. He lived here for about four years before the family moved to Hannibal, Missouri. Mark Twain drew on his memories of Missouri while becoming one of America's best known writers. Mark Twain Birthplace State Historic Site, Florida, Missouri, USA.